Lawyers and judges have been called to be the salt and light to the rest of the world in their quest to administer quality justice to all. 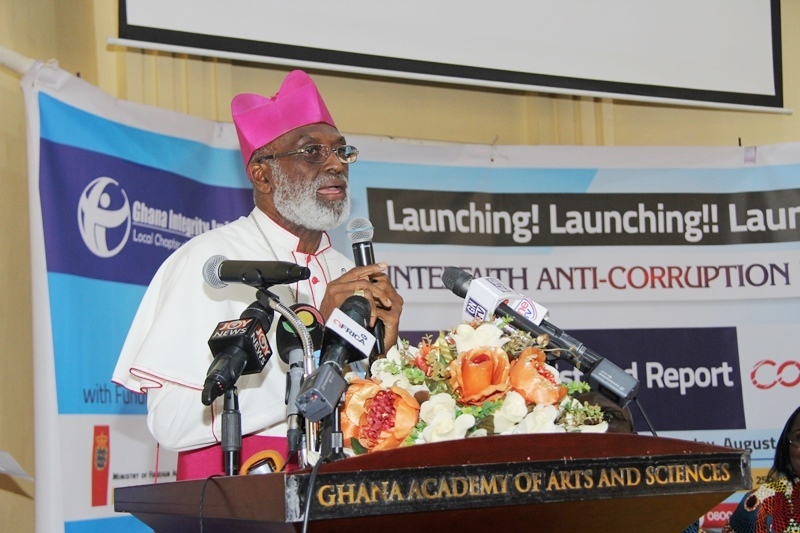 The Most Reverend Charles G. Palmer-Buckle, Archbishop of Cape Coast and Apostolic Administrator of the Catholic Archdiocese of Accra, said in Ghana’s quest to secure justice, the country needs men and women who fear God and those who can pray for the gift of wisdom in order to administer justice. The Most Rev. Palmer-Buckle, speaking in a sermon to mark the 61st Legal Year Church Service held at the Holy Trinity Cathedral in Accra, said the “country needs quality justice in reality of the realm to spearhead righteousness and quality in all our ways”. The church service brought together Justices of the Superior and Lower Courts, staff of the Judicial Service, members of the Ghana Bar Association, the 279 newly enrolled lawyers and other dignitaries. Most Rev Palmer-Buckle said in pursuing quality Justice, the country needs quality practitioners of justice and entreated the Judiciary and the clergy to endow people about righteousness so that people would hate bribe and other vices. Most Rev Palmer- Buckle said it is time for the Judiciary to rolls up their sleeves and put their shoulders on the wheel of Ghana to redeem their God given vocation for humanity. He said salt in the Bible represented a divine characteristic and it did not only give food taste but it preserved it. Expatiating on the essence of light, the Archbishop of Cape Coast said as Christians, they were to shine where they find themselves. “Work and conquer the darkness around you. Let your light shine before men so that men would see and give glory to God the father in heaven,” he added. Most Rev Palmer-Buckle said during the year, Ghana had lost iconic persons namely Prof V.C.R.A.C Crabbe, Mr J.H. 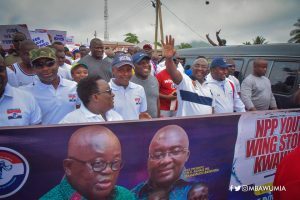 Mensah among others noting that all those people did not relent on their pursuit for excellence and virtues such as humility and service to God and country. He urged the congregation not see the legal year church service as an annual ritual or an act that saw how religious members of the bench and bar were but see the relevance of God’s presence in their pursuit for quality justice delivery. “This legal year service should not an empty yearly ritual full of fury and sound. It rather be customised, calibrated, acculturated making it an act of worship by the Judiciary. May it not be said that these people worship me with their lips,” Most Rev Palmer –Buckle said. Ms Sophia A. B. Akuffo, the Chief Justice, Ms Gloria A. Akuffo, Minister of Justice and Attorney General and Mr Anthony Forson Junior, President of the Ghana Bar Association took turns to read the first, second and third Bible Readings for this year’s Legal Year Church Service. The post Be salt and light to the world – Most Rev Palmer Buckle tells judges and lawyers appeared first on Ghana Business News.